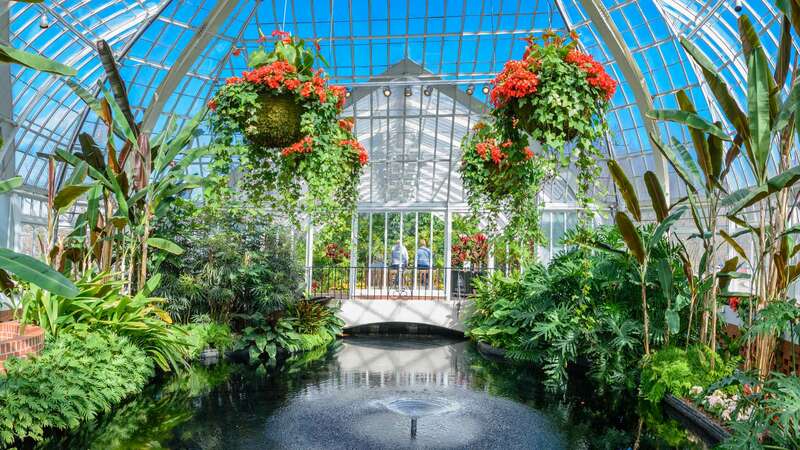 Corporations that partner with Phipps Conservatory and Botanical Gardens are connecting with people of influence and wherewithal in a prominent, historic and beautiful venue, all while enjoying a bounty of benefits. Treat your employees to the lush beauty of Phipps, gain exclusive behind the scenes access to our greenhouses and take your next company meeting off-site to our unique event spaces for a discounted rate. Educates: Phipps sparked the imagination of 122,479 children in 2016 and provided an astounding 807 educational programs for learners of all ages. Saves: As a global leader, the Phipps Research Institute for Biophilia and Science Engagement enhances the relationship between humans and the environment by undertaking cutting-edge research, producing wonderful programming and forging broad-sector community collaboration. Through our comprehensive plant science and conservation initiatives and a regional focus on living green, Phipps is truly changing the world by restoring ecosystems, slowing plant extinction, conducting research that works to stabilize our global climate and enlisting others to join the effort. Inspires: Each year, Phipps Conservatory and Botanical Gardens welcomes nearly half a million visitors into an environment of serenity and natural beauty. Enjoy a glimpse at our more than 17,000 membership households and nearly half a million annual visitors.